Tenley's Aquatics, Inc. is focused on teaching persons of all ages and abilities how to swim. 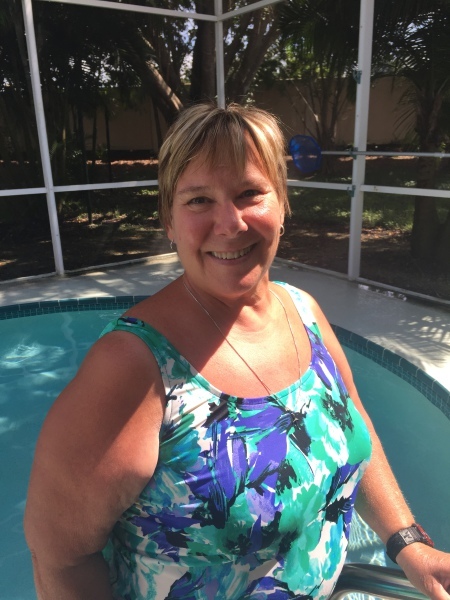 Master Instructor, Tenley Smith, has taught thousands of people to swim over the past 30 years. Tenley's credentials include a Master's Degree in Education, with a Minor in Aquatics. She was formerly certified as a Red Cross WSI, LGI, First Aid & CPR Instructor. Tenley holds a current American Red Cross Adult & Pediatric First Aid, CPR & AED Certification. Tenley's Aquatics has SAFETY as their first priority. They make sure students understand safety rules and apply safety skills while swimming. We then help students overcome fear of the water, learn proper stroke techniques, and improve competitive strokes for more efficient propulsion through the water. Private, semi-private, and small group lessons are available. Children ages 6 months - 3 years must have a parent, or other responsible adult, accompany them during the lesson. All instructors are personally trained by Tenley to incorporate the same style and technique of teaching swim lessons so that all students experience phenomenal success. Tenley and the other instructors will come to your home pool or your community pool, provided that the location is within these zip codes: 34117, 34119, 34120 and 34124. Additional fees are applicable for those requesting lessons outside of the service area. Tenley's Aquatics can also provide water companions for seniors who feel uncomfortable being in the pool alone, whether swimming laps or doing water exercise.